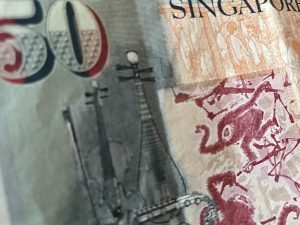 Shares of SGX were up 2.71 percent at S$7.57 at 11:04 A.M. SGT after investors got some relief from concerns about the exchange’s India derivatives offerings. SGX will list successor products to the SGX NIfty product family before August 2018, when the license for the SGX Nifty products expires, the exchange said in a filing on Monday. It said it would release details by March. The new products would provide the same ability to invest and maintain risk exposure to the Indian capital markets and market participants will be able to transition “seamlessly” before the SGX’s license deal with the National Stock Exchange of India (NSE) expires, the filing said. SGX also said that it would work with NSE to develop a link to allow international market participants to trade on NSE’s International Exchange, while managing clearing exposure through SGX. The announcement was likely to relieve investors in SGX shares. In a note last week, Goldman Sachs estimated that 10 percent of SGX’s derivatives business revenue comes from the Nifty F&O and rupee futures, which are its two key India offerings. Goldman had added that the derivatives business has been SGX’s only growth engine for the past few years. The loss of the Indian products could have resulted in lower volumes for other derivatives products because one of SGX’s key client propositions has been the ability to invest in multiple Asian derivatives products in one venue, Goldman said. Shares of SGX had fallen as low as S$7.31 last week in the wake of the announcement that the exchange could lose the Indian derivatives. Initial resistance for the share might be at the day’s high of S$7.58. The level it traded at before last week’s announcement, S$7.88, may also offer resistance.